The Mizoram state legislative assembly on Wednesday passed the Sinlung Hills Council (SHC) Bill which will give more impetus to the Hmar dominated area of northern Mizoram bordering Manipur and Assam. 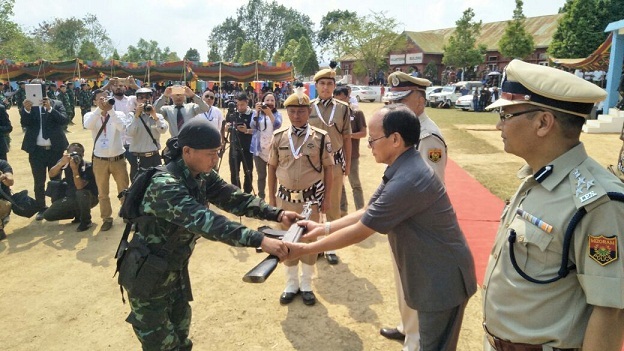 On April 2, 2018 the state government of Mizoram and the HPC-D signed a peace accord ending a two decade long Hmar insurgency. The Singlung Hills Council will replace the existing Sinlung Hills Development Council (SHDC), which came into existence in 1997 as a result of the peace accord between the Mizoram government and the erstwhile Hmar People’s Convention (HPC) in July 1994. Home minister R Lalzirliana who introduced the Bill expressed his gratitude to the Hmar militants for extending support to the government towards establishing “peace and tranquility” in the state by giving up arms. R Lalzirliana said both the government and the HPC-D pledged to give and take so that peace could be established in the area demanded by the HPC-D. “Initially the HPC-D demanded autonomous district council but budged and agreed to the formation of a more established Council. On the other hand the Mizoram government also had to be more lenient in approach so that an understanding could be reached,” R Lalzirliana said. According to the Bill, an interim council will be formed for six months after which elections will be conducted. The government has already approved appointment of council members proposed by the HPC-D. The Council Headquarters secretariat would be stationed at Sakawrdai village or any other proposed village. The bill read that the SHC would have a general council and an executive council which will consist of 14 members, 12 elected and 2 nominated by the state government. The term of office of the general council will be five years. The SHC will be headed by Chief Executive Member (CEM), a chairman, deputy chairman and four executive members (EM) to be nominated by CEM. Among others, the council will have an executive power to formulate plans, schemes, prepare its own budget, make bye-laws and rules and power to impose, levy and collect taxes within the council area.